Congratulations on your engagement!! The title sounds a little urgent doesn’t it? 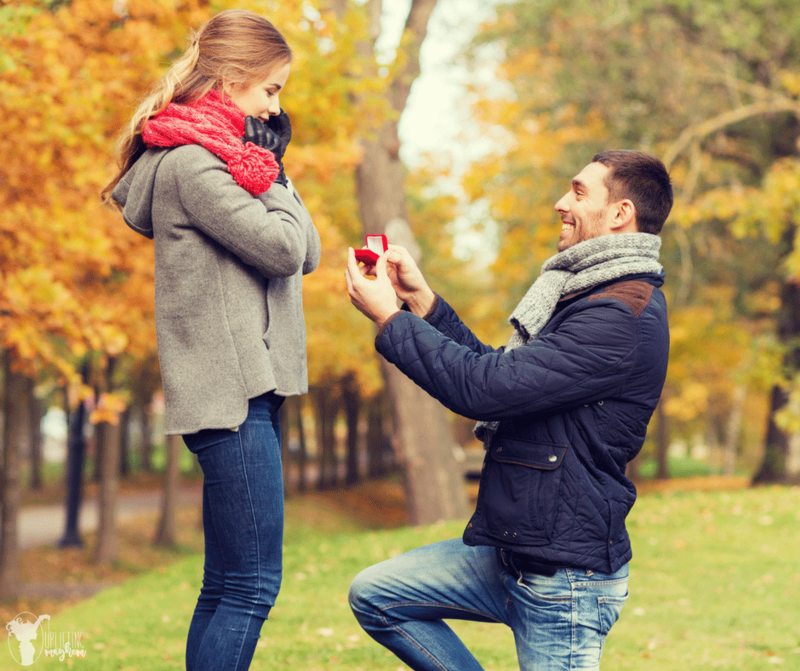 10 things to do THE MOMENT you get engaged. The truth is, you don’t really need to do these things the moment you get engaged, but some of them are important to KNOW about the moment you get engaged. Many of them could save you in various aspects of your planning. Some of these tips will save you lots of money, but the first one has to do with your relationship. 1. Create a weekly tradition for just the two of you. This involves NO wedding planning, but just simply enjoying each other’s company and remembering why you want to get married in the first place. Enjoy your engagement! Planning a wedding can be stressful (probably more so for the girl), and stress can take over the relationship if you forget to take time for each other and put the wedding plans aside for a little bit. Girls, as excited as you are to address those announcements, the men just aren’t feeling it. Don’t get offended. It is what it is. 2. Don’t buy the groom’s wedding band at a jeweler. Unless of course he is interested in diamonds. But most men’s wedding bands are a little bit more simple and they are WAY OVERPRICED at most jewelers (why do you think there are a lot of promotions for a free men’s band when you buy a wedding ring? It’s because the men’s bands cost NOTHING compared to the bride’s wedding band). I found that many of the wedding bands we looked at in the $400-500 range, were being sold on Amazon for like $30. Serious. My husband’s band cost us $25 and he loves it (you can find several for under $10 and they are awesome rings)! Our favorites were the Tungsten rings. 3. Get cash back on ALL of your wedding purchases. Trust me, you want to take the time to set this up before you buy ANYTHING for your wedding. Use a credit card with good points on all of your purchases. Double your cash back by also using your ebates account for everything that you buy. Ebates averages anywhere from 2-10% cash back for most online retailers, and the average wedding costs $30,000. Let’s say you shopped at an online retailer for your wedding supplies and you got 5% cash back…that’s a potential of $1500 extra cash in your pocket (and that doesn’t include your credit card rewards). *When you sign up for an Ebates account, make sure and download their bookmark tool so you don’t ever forget to activate your cash back. I was buying something online at Kohls the other day and a little notification popped up to remind me to activate my cash back. Awesome! 4. Utilize secret group boards on Pinterest. I WISH these were around when I got married! Simply create a “secret” board and invite your mother, maid of honor, and whoever else is helping you plan your wedding to pin to your board. Now you have lots of eyes out for the best ideas in your colors and theme. Group boards are a fantastic way to brainstorm ideas with other people, and Pinterest has LOADS of good ideas for weddings. 5. Create an Amazon registry. HERE IS WHY! I can’t stress this enough. Amazon has an awesome feature called a “universal” registry. Meaning, you can add things to your registry from ANY store, even if it’s not found on Amazon. This way, you can keep track of what has been purchased, even if they chose not to use Amazon.com. You also can read reviews before you add an item to your registry. I will always remember wandering around Bed Bath and Beyond like lost sheep when my husband and I first got engaged. We had no idea what was good, and what should be added to our registry. Using an Amazon registry helps you to pick only top-rated items. You also have a MUCH wider selection of items, instead of just choosing bed, bath and kitchen items (the groom will love that). Amazon also gives you 10% off the remaining items on your registry and lets you print out an easy thank you list with names and addresses of your gift-givers. That alone, is gold my friends. 5. Take a ring selfie and lots of pictures! Really! This time in your life goes so fast. I don’t have a lot of photos when my husband and I were engaged and I miss that so much! One day you will want to show your kids how cute their parents were! 6. Have very open conversation about anything you struggle with that might threaten your marriage. Honesty is paramount to the success of marriage, and full disclosure before marriage can save you a lot of grief. Questions to Ask Before You Get Married might be a great place to start. Again, engagement can be stressful, as well as overwhelming as you plan a lot of “grown up” things. Plan ahead and do something kind for your fiance everyday. This will be great preparation for marriage. Stressful situations will sometimes bring out the worst in you, but if your partner is kind in return, then there is a reassurance of love. Start now by remembering that marriage is not 50/50. Each must give 100%, because on days when one person falls short (stress, frustration, fear, etc.) the other will make up for the gap. Love and be kind, especially when the other is having a hard time doing so. Don’t make the mistake of only acting in kindness if you first receive it. This will only sour relationships. Advice can be so awesome, and it can be so….not awesome. There will be moments when someone gives you advice when you should quickly grab a pen and write it down. There will also be moments when someone gives you advice and you say, “uh-huh” and then quickly erase everything they said from all depths of your memory. It is up to you to discern between the two 🙂 No but really, there are some people out there that have been married for a long time and have a lot of experience and have fantastic advice to give. During my engagement, my husband and I made it a point to ask married couples for marriage advice wherever we went. It was really fun to hear what people had to say and some of them I still treasured years down the road. I began writing down all the things I love about my fiance/husband. When times are difficult, or stressful, or we have a hard time understanding each other, I read from this journal. It helps bring me back to a positive perspective and is actually very powerful. 10. Just mark your Facebook relationship status as “it’s Complicated”. No but really, hold on…you’re in for a journey. Let go of any expectations of what marriage “should be like”. Some days it’s amazing, and some days it’s hard, and some days it’s a mixture of everything. Just remember that it’s normal to have an adjustment period as you get used to living permanently with your spouse. Marriage is a beautiful thing and you grow closer together through difficult times. It is really fun! Most of all, CONGRATULATIONS on your engagement!! !